Maintaining and extending established brands with new SKUs, new feature information and promotions requires a consistent approach, often over several years. For Dairy Farmers and Pura core ranges plus their sub-brands including Skimmer, Boost and Light Start we have provided this service for 7 years. Brand and packaging modifications were carried through to artwork for litho (full colour offset) and flexographic projects. 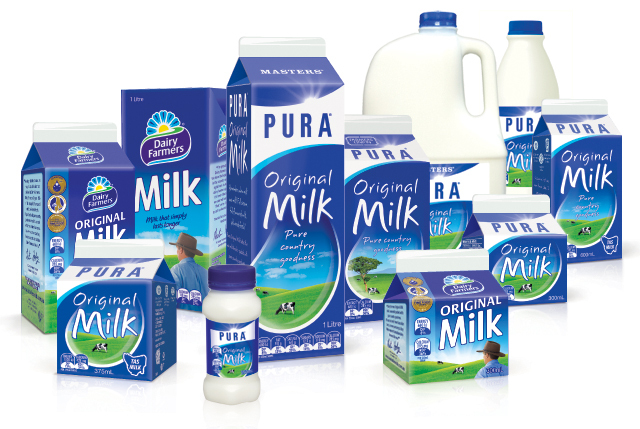 These dairy products require wide ranging approaches, from strong vector based designs, to heavily styled photoshop images.